Discussion in 'Talking Pictures' started by SXH, Apr 13, 2019.
is currently being interviewed on Saturday Live, Radio 4. Certainly not Rankin Roger. He died a couple of weeks ago. The Beat stopped for him. That'll be an earworm for you. He looks a right misery. Talking about record storage? What, photos? Music? Photographer, publisher and film director Rankin joins Rev. Richard Coles and Aasmah Mir. 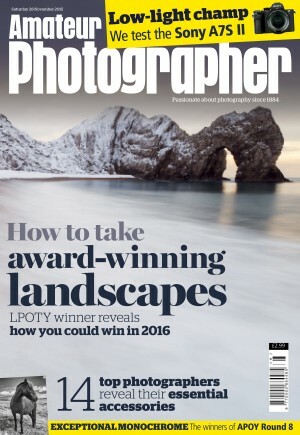 He talks about swapping accountancy for photography, his career which includes photographing the Queen in 5 minutes, and the impact of having a child." But that doesn't interest you. Fine. I won't bother in future. Is that a flounce I see before me..
No, it's a considered response to a load of stupid replies to a post I hoped would be useful and/or interesting. From now on I will not, as I said, bother posting about things I have seen/read/heard that might be of interest on a photography forum. And if you want to call that a flounce then you can piss off, I no longer find you worth the bother. Why? Just because some of us have had a laugh and took the Mick a bit? Plenty of things in the world to get upset about. I really don't think this is one of them, Steve. When we are stressed, flippancy and a bit of humour is a relief, albeit temporarily. Don't get upset, just join in and have a five minute bout of non-serious fun. Upset? No, pissed off by flippant responses to sensible posts. In the Lounge, humour is quite acceptable. In other forums, maybe yes, maybe no. Especially when someone is trying to be helpful. You want to make jokes about everything? Fine, do so. But I am not going to waste my time posting seriously if the immediate responses are stupid jokes. I made the mistake of not spotting you had included a link so I asked an innocent question and after that it got silly. If you had simply pointed out my mistake it would have defused the thing. Sometimes we just have to assume error rather than malevolence. It is easy to be misunderstood on a forum. Cool it. The other day someone suggested that I had been offended by a post which I had mildly half heartedly criticiced. I was not offended. I had merely commented that the post was not up to the usual standard of wit and humour associated with the author. Can't believe the level of responses a helpful post got here. Sad to see. Rankin is as well known, or better, than many of the people who get sensible comments here.